I've been absent from my blog lately, hope you all had a wonderful holiday! In the meantime, I've finished some weavings and decided to share them with you. These are newly listed in my shop today! I'm finding weaving very relaxing and fun. And yay for learning a new skill right away this year! I have a few more in the works and in my head. 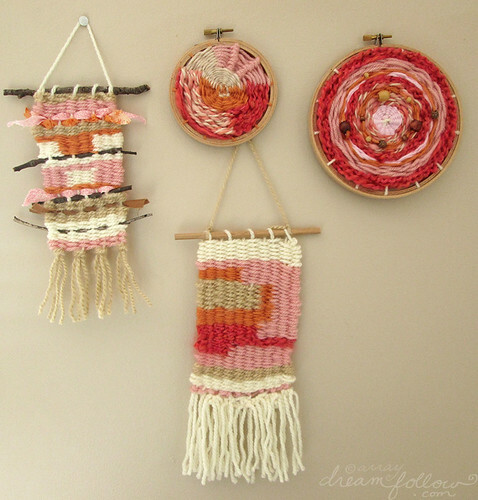 If you're interested in giving weaving a try, check out this tutorial, it helped me out a lot with the basics. I love them all, the colours and different textures are just gorgeous!